PLENTY O' SUNSHINE - La Quinta Brewing Co. Heading into the summer months means one thing for us desert dwellers, plenty o' sunshine to go around! There's no better way to quench your desert thirst than with a pint of your favorite local craft beer! With two locations to serve you, we promise to deliver quality and palate satisfying locally crafted beer! Whether you're in the mood for the intimate, casual atmosphere of our brewery tasting room or looking to kick back in our new Old Town La Quinta Taproom, which has quickly become a favorite hot spot, we have the beer and the atmosphere to serve you! While you're busy staying cool, we've been busy brewing award winning beer!. Just last month, we became the proud recipient of a World Beer Cup Gold for our Bourbon Barrel Aged Koffi Porter. This award winning beer (along with our other award winning beers) is available at both locations! For a complete list of beers offered, visit us on Facebook. Looking to escape the heat? Join us on a road trip to San Diego! 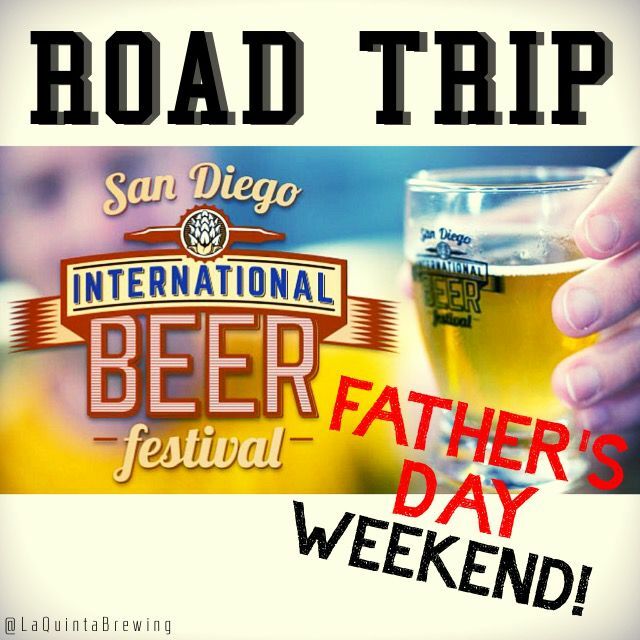 On Saturday, June 18th, LQBC will be chartering a bus to the San Diego International Beer Festival at the Del Mar Fairgrounds. The party bus (with restroom) will leave the brewery Saturday at 8am, and return that evening. Tickets are on sale now for $135/person which includes bus transportation, LQBC beer on the bus and the 1-3pm tasting session at the festival. Call the brewery to reserve your spot for this fun event - limited spaces available! Be sure to Like us on Facebook and follow us on Instagram and Twitter to stay up to date on all the current happenings at the brewery. Stay cool and TASTE THE SUNSHINE!